The list of mental health issues that can affect your teen is a long one and each person is unique in the way that these pressure affect them and how they cope or fail to contend with these traumatic circumstances and pressures. One thing that is certain is that a good number of the challenges that adolescents face can have a detrimental impact on their mental health. As a parent, you will want to understand what your teen is going through and be able to offer them guidance on how to cope with these problems without resorting to drugs and self-harming as a way of dealing with the pressure they are feeling at this emotionally-challenging chapter in their life. Parents need to know the telltale signs that their teen is struggling to cope or has resorted to drug abuse as a coping mechanism. 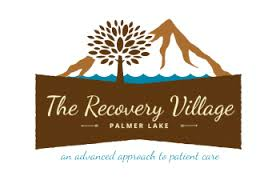 This web page, put up by the Recovery Village at Palmer Lake, is a look at the key signs that you need to look out for and some tips and information on how to help your teen stay in positive control of their mental health. Helps supportive adults gain a better understanding of youth mental health. In this issue of Represent Magazine, find out ways to be healthy.